You can create your own multisport mode in Movescount and download it to your Suunto Ambit2. 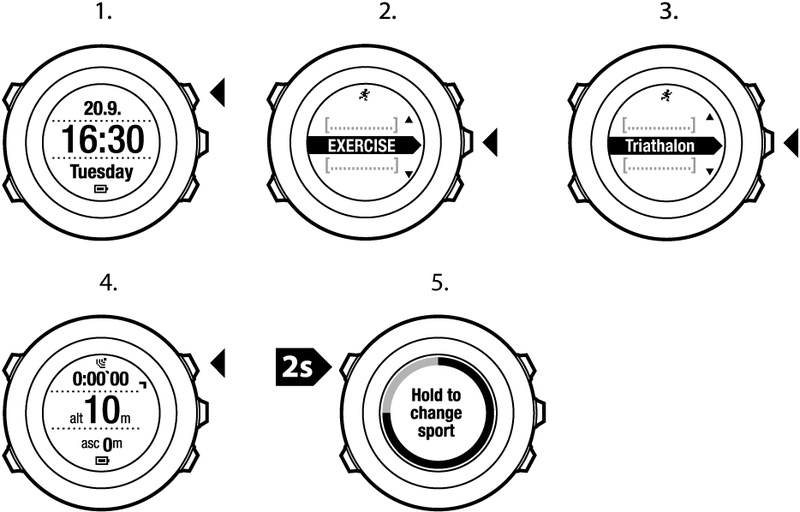 The multisport mode can comprise a number of different sport modes in a specific order. Each sport included in the multisport mode has its own interval timer. You can select Multisport, Adventure racing or Triathlon as the multisport mode. Scroll to the preconfigured multisport mode and select with Next. Wait for the device to notify that the heart rate and/or GPS signal have been found, or press Start Stop to select Later. The device continues to search the heart rate/GPS signal. Keep Back Lap pressed to change to the next sport in your multisport mode.